As I reached Pen Trumau, close to the halfway point in this walk, I’d achieved a height of around 700m above sea level. Waun Fach, the highest point in the Black Mountains range, could be reached by climbing only another 100m or so. 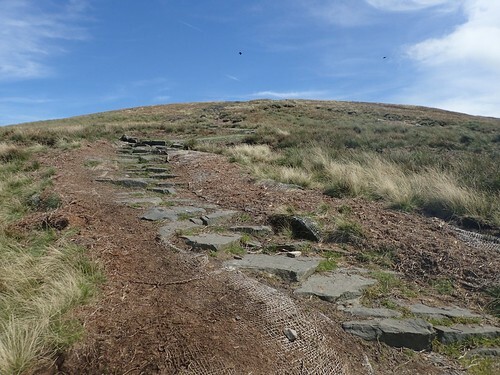 This entry was posted in Wales and tagged Beacons Way, Black Mountains, Brecon Beacons, c, Crickhowell, Crug Mawr, hiking, Llanbedr, National Park, Pen Trumau, Pen Twyn Mawr, Pen Y Gadair Fawr, Wales, Walking, Waun Fach on 14/11/2017 by Olly Parry-Jones.